Photo : November 30, 2018. Time – after the photo. Vladimir Putin’s health : I see tightness on the left side of the head of Vladimir Putin – it starts from the pineal gland – it is passing at left under the eye, walks around the left ear; the energy is making a second passing under the left sinus channel (the left eye) and through the throat – it is going to the heart – it circles the heart (a strong energy), it is going at right and then, the energy is affecting the right shoulder. This is very strong air streams from energy – I see them to stream as water. Outwardly, the pains are felt stronger at the neck, the pelvic region, there are slight pains at the bones of the right leg and knee and in all muscles. The left part of his brain is contracted, but not painfully. Now, the right part of his brain is more developed. The energy is circling it…. He will feel outwardly a tightening like a hoop on his head – near the temples. Vladimir Putin is full of energy. In the future, he must treat the right lung and prostate (at left). He must keep warm his right leg. Also the liver is affected – he needs to take more nuts and milk. Conversations will take place for Ukraine and gas pipelines. Vladimir Putin is seeing itself like in a sea – a stormy sea a he wants to have a shore and a rest. December 2018 – there will be problems with money and financing, searching of banks – investors, money, problems with the European Union and a slow movement of the projects. Around December 8, 2018 will come the problems with China, because of business. Since December 6, 2018 will begin the political problems because of the Ukrainian sailors arrested in Sea of Azov. I see attempts for the starting of the business in Siberia, researches and business with the Tunguska meteorite. There is a beginning of digging (dredging) and a construction on the place of falling of the Tunguska meteorite – anomalies in the zone – a research… There is reaching to a black substance which is between a stone, metal – unknown substance without gravity that can fly in the air. In the depth, they find a small black pyramid with melted details inside – as a capsule. I see an energy kept in that pyramid, but the information can be extracted only telepathically in that moment. They will find out later, this is a place for communication with other worlds. It has been used as in teleportation, but in the present moment – it has melted details inside. The financing and projects will begin since December 15, 2018 – in progress – at first, from South Africa, then the European Union – contracts and project contracts – Germany. Around December 10, 2018 will begin the problems with NATO, armies, ships, because of Ukraine – there is a simulation of tension and provocations with airplanes. A peak of revenues (incoming of money) – banking – it is around December 18, 2018. Then, there is a scolding (quarrel) because of the Nord Stream , getting up from the table and a lull between businessmen. It will end days before the New Year with a request to continue the contracts and the investments of money. The money in the first moment will not come directly through Germany – there is a delay and a travel – twice. January 2019 – The Turk Stream project is starting lightning fast, begins the problem with Greece. There are two entrances left before the end of the sea section of Turk Stream pipeline – a reserve (spare) entrances. In the future for Bulgaria – natural gas will flow through Turkey and again in the future – directly from the gas pipeline. At the end of January and February 2019 are the military actions in Donbass. In the beginning Russia will help with a special equipment, and later – soldiers (mercenaries) are coming. The actions are also March 2019 – more offensive and more conquering. February 2019 – I see problems in the health condition of Putin – the head. I see surgical operation at the front of the head and problems in the glands. The name, I often hear from Vladimir Putin is Igor – he is often repeating it. Until April 2019 – I see problems in GRU (Russian Military Intelligence) – settling of characters and acceptance by the employees of a new leader – one leader by total two people. May and June 2019 – the tightness in the head and in the heart still continue, the health condition of Putin is before a brain stroke. May 2019 is a tough month – May 8-20. Since April, May 2019 – there is a compromise with and of Turkey , because of the territory in Syria, and because new collisions with airplanes. There is limitation of Israel’s military actions in Syria. The relationships Trump-Putin are starting to freeze. 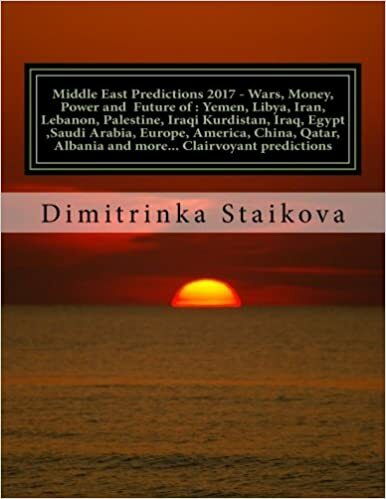 For a short time, until the first days of June 2019 – the World is before the starting of a Third World War. July 2019 – the compromise is coming from USA, when there is a meeting of generals and secret negotiations. The world is staying ahead of a conflict and the people doesn’t see that since May 2019 (invisible) and from the end of June (after June 20) and July 2019 (visible) – the planet Earth is monitored from the Space. The objects are small, they are moving fast and they are connected with a distant mother-ship (spaceship), that shines like a Sun and it is invisible – it can be felt only as heat that emits. September 2019 – sound waves are felt on the Earth and then everyone is looking at the Space. August 2019 is a month of partition of parts, shares, money, territories… There is no need of a spark, there are persons in charge – there is a connection between them with readiness for a kickback with rockets – including at long distances. Since September 2019 begins the entering of the Russian and Chinese system one another – their merging. The Iranians are only as partners in that moment. What is accepted is that jews are a joint enemy – the military actions against them are increased. At the end of the year – September -October 2019 are beginning more serious problems with the royal power of Saudi Arabia, and a russian participation slips into a conspiracy that ends very tragic. At the end of year 2019 – I see problems with the blood irrigation of the left side of Vladimir Putin – the whole body and attempts for a new, one of its kind surgical operation made inside his head. It is successful about his brain, but with a side effects – cysts. Year 2019 – I see a daughter staying next to Vladimir Putin (as a leading position). This entry was posted in #Finance, Ankara, Bank of England, banks, Bilderberg group, billionaires, Brexit, BRUSSELS ATTACKS, business, Clairvoyant, Confirmation, CRISPR, Cyprus, Democrats and republicans, Donald Trump, Election 2020, Erdogan, genetics, George Soros, GRU, Health diagnosis, Hillary Clinton, kremlin, migrant crisis, Money, Nicos Anastasiades, Peace, Politicians, Pope Francis, Psychic, Religion, Russia, Science, Syria, Syria Strikes, terrorism, Turkey, Ukraine, Uncategorized, Us Elections 2016, War, Washington, World Predictions 2019, World predictions that came true and tagged "the Normandy format", a think tank, Aggression, Argentina, Azov Sea, Black Sea, Brussels, Buenos Aires, Chinese President Xi Jinping, conflict, Crimea, Crimean peninsula, Denis Pushilin, Donald Trump, Donetsk, Donetsk People's Republic, eastern ukraine, economic growth, elections in Ukraine, FSB security service, G20, G20 leaders, G20 summit in Argentina, Georgia, German chancellor Angela Merkel, incident in the Black Sea, Investigative Committee, Kerch Strait, Kiev, kremlin, Lefortovo jail, Luhansk, martial law, Minsk Agreement, moscow, NATO, NATO defence ministerial meeting, NATO headquarters, NATO secretary-general, North Atlantic Council, Oleksandr Turchynov, Overseas Private Investment Corporation, petro poroshenko, port of Mariupol, port of Odesa, President Donald Trump and Russian President Vladimir Putin, presidential election, Republic of Crimea, Russia, Russia projects in Africa, Russian aggression, Russian aggression against the Ukraine, Russian border patrol, Russian president, Russian President Vladimir Putin, Russian-backed rebels, Russian-Ukrainian border, Sea of Azov, Secretary of the National Security and Defense Council of Ukraine, senior White House official, Sergey Aksyonov, Tatyana Potyaeva, the European Court of Human Rights, the Geneva Convention, the Heritage Foundation, the Russian Federation, the Verkhovna Rada, top adviser, trade war, Trump and Xi Jinping of China, Ukraine, Ukraine leader, Ukraine's Joint Forces, Ukrainian, Ukrainian Foreign Minister Pavlo Klimkin, Ukrainian ports, Ukrainian President, Ukrainian President Petro Poroshenko, Ukrainian sailors, Ukrainians, Ukranian navy vessels, US delegation, US security issues, Vladimir Putin, White House, World Trade Organisation on April 22, 2019 by Clairvoyant Dimitrinka Staikova. Theresa May (Prime Minister of Great Britain) – Brexit – “one spoon each hour”. Will it be allowed to Great Britain to vote for the European Union ? 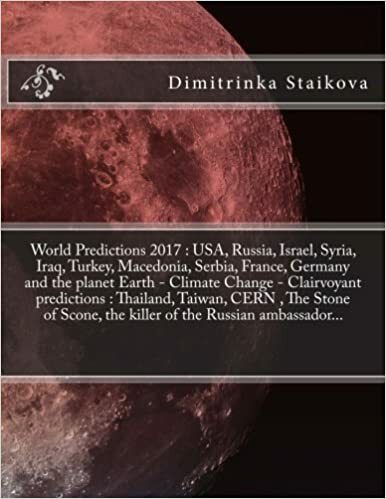 – Clairvoyant/Psychic predictions January 18, 2019 – by Clairvoyant House “Dimitrinka Staikova and daughters Stoyanka and Ivelina Staikova” – from Europe , Bulgaria , Varna. ….The beginning of March 2019 starts with demonstrative actions from the European side – a request for extending of time – from March to September 2019 and a subsequent grace period of one year – (Media Confirmation). Great Britain is a hostage of all or nothing. There will be no new referendum with Theresa May. But everyone is waiting for the (European) Elections. The will is a German to be elected for a President of the European Commission. Then follows the coming to power of Jeremy Corbyn and a new referendum for the remaining of Great Britain in the European Union. Will it be allowed to Great Britain to vote for the European Union ? – with an official document – Yes. April 2019 – the chair on which is sitting Theresa May already …. European Union leaders have granted the UK a six-month extension to Brexit, after five hours of talks in Brussels. 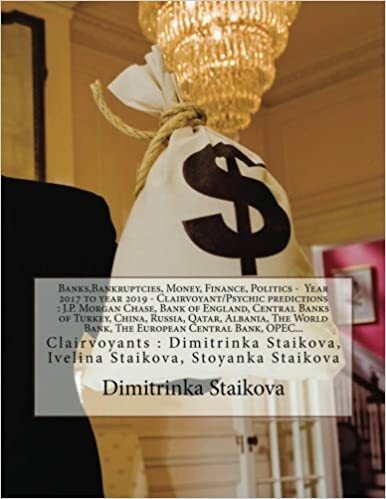 This entry was posted in #Finance, Ankara, Bank of England, banks, Bilderberg group, billionaires, Brexit, BRUSSELS ATTACKS, business, Clairvoyant, Confirmation, Election 2020, George Soros, GRU, Health diagnosis, migrant crisis, missing people, Money, Nicos Anastasiades, Peace, Politicians, Psychic, royal family, Russia, Science, Syria, Syria Strikes, terrorism, Turkey, Uncategorized, Us Elections 2016, War, Washington, World Predictions 2019, World predictions that came true and tagged "coup d'etat", #education, #EndTheShutdown, #Europa, #Européennes2019, #FridayThoughts, #GovernmentShutdown, #Hezbollah, #Ireland, #Maduro, #NancyPelosi, #PresidentPelosi, #realdonaldtrump, #rogerstoneindictment, #ShutdownImpact, #ShutdownStories, #Trump, #TrumpCanceled, #TrumpCaves, #TrumpCrimeFamily, #TrumpShutdown, 116th Congress, @matteosalvinimi, @SpeakerPelosi, @USChamber, Abdel Fattah Al-Sisi, Al-Attaba market, Alexander Stubb, Alliance of Conservatives and Reformists in Europe (ACRE), Alliance of Liberals and Democrats for Europe (ALDE), ALTERNATIVE Europe, alternative to Europe, American troops, Anne-Elisabeth Falkevik Hagen, anti-Islam focus, Antonio Tajani, Arlene Foster, Bank of England Governor Mark Carney, banking sector, Bashar al-Assad, bashar assad, border security system, border wall with Mexico, Boris Johnson, Brexit, Brexit chaos, Brexit deal, Brexit extension, Brexit negotiations, Brexit party, Brexit secretary, Brexit talks, Brexit vote, Brexit withdrawal agreement, Brexit withdrawal deal, Brexiteers, Britain, Britain’s EU exit, British citizens, British lawmakers, British Prime Minister Theresa May, Brussels, Brussels bloc, Buckingham Palace, business environment, Cairo, Candidates for Commission President 2019, Caracas, centre-right politician, Chancellor Philip Hammond, Chavistas, Cheops Pyramid, China, Christian Kern, commander of Iran’s Revolutionary Guard Corps’ Quds Force, Commission President 2019, congressional Democrats, Conservative government, Conservative Party, Conservatives, corruption, coup, Crime, CSU party, Damascus Airport, deal Brexit, defense system, democracy, Democratic Unionist Party, Democrats, Denmark, divorce agreement, Dominic Raab, Duke and Duchess of Cambridge, Duke of Cambridge, DUP leader, economic crisis, economic growth, Egypt, Egypt's education system, Egypt's minister of Investment and International Cooperation, Egyptian authorities, Egyptian distributors, Egyptian President, Egyptian President Abdel Fattah al-Sisi, Egyptians, elections in England, Emmanuel Macron, England, EU customs arrangements, EU departure, EU elections, EU Foreign Policy, EU leaders, EU negotiator Michel Barnier, EU referendum, EU structures, EU-UK trade deal, EU’s chief negotiator, Euractiv, Europe of Nations and Freedom (ENF) party, Europe's politicians, European Commission presidency, European Commission President, European Commissioner for Energy Union, European Council President Donald Tusk, European Elections 2019, European Greens, European Left, European Parliament election, European Parliament elections, European People’s Party (EPP), European Union, Eurosceptic, far-right Northern League, federal workers, fiscal consolidation, Frans Timmermans, free trade agreements, French politician, General Aviv Kochavi, general election, General Vladimir Padrino, Government Shutdown, Government’s budget plans, Great Britain, Hamas, hardline politician, Harry and Meghan, Hassan Rouhani, head of the European parliament, head of the parliament, healthcare, Hebron, Helle Thorning Schmidt, House Democratic majority, House Minority Leader Kevin McCarthy, House Speaker Nancy Pelosi, Hugo Chávez, human capital, IDF, IDF chief of staff, IDF’s ground forces, imperialist United States government, industrial hubs, investors, iran, Iranian forces in Syria, Iranian infrastructure in Syria, Iranian presence in Syria, Iranian troops, Iranians, IRGC commander, Irish border plan, Irish economy, Irish presidential election, Iron Dome missile defense system, Islamic Jihad, israel, Israeli airstrikes, Israeli elections, Israeli strikes, Israeli territory, Israelis, Italian Interior Minister Matteo Salvini, Italy's far-right leader, Italy’s General Labour Union, Jacob Rees-Mogg, Jean -Claude Juncker, Jeremy Corbyn, Juan Guaido, Juncker’s successor, Juncker’s team, Kensington Palace, Kristalina Georgieva, labour, Labour leader Jeremy Corbyn, Leader of the EPP Group in the EP, Lebanon, Leo Varadkar, Liberal Democrats., Libya, local elections across England, long-range rocket, longrange heavy missiles, Lord Adonis, Lt. Gen. Aviv Kochavi, Madbouli, Maduro loyalists, Maj. Gen. (res.) Yitzhak Brik, Manfred Weber, Margrethe Vestager, Marine Le Pen, Mark Rutte, Maroš Šefčovič, Mary Lou McDonald, Massachusetts Senator Elizabeth Warren, Matteo Salvini, May’s Brexit deal, May’s government, Michel Barnier, Michelle Bachelet, Middle East, Middle Eastern countries, military intelligence, military intervention, Minority Leader Chuck Schumer, missile barrage, monetary policies, mount Hermon, Mr Guaido, Mr Maduro, mutiny, Nancy Pelosi, nationalist groups, Netherlands, Nicola Sturgeon, Nicolas Maduro, no-confidence vote, no-deal Brexit, Northern Ireland, Northern Irish unionist, Operation House of Cards, Opposition Labour Party leader Jeremy Corbyn, opposition leader, palestinian, party leaders, Party of European Socialists (PES), Pedro Sanchez, Pelosi, Pelosi’s strategy, Pennsylvania Avenue, People's Vote, Peter Altmaier, Pierre Moscovici, Policy, political crisis, politician, pollution, President Donald Trump, President Michael D Higgins, President of Huawei technologies, President of Iran, President of Syria, president of Turkey, president of Venezuela, President of Venezuela Nicolas Maduro, Prime Minister Benjamin Netanyahu, Prime Minister Mostafa Madbouli, Prime Minister of Lebanon, Prime Minister Theresa May, Prince Charles, prince harry, prince William, pro-Brexit party, putsch, PvdA, Qassem Soleimani, Recep Tayyip Erdogan, regional insecurity, regional market, Ren Zhengfei, Republicans, Russia, Saad Hariri, Sadiq Khan, Sahar Nasr, Scotland, Scotland's First Minister, Scottish government, Scottish independence, Scottish Labour, Scottish political parties, second Brexit referendum, Senate Majority Leader Mitch McConnell, shutdown, shutdown crisis, Sinn Féin candidate, Sinn Féin supporters, Sinn Fein, SNP (Scottish National Party), SNP leader Nicola Sturgeon, Socialdemokratiet, Speaker, Speaker Nancy Pelosi, Spitzenkandidat process, Spitzenkandidaten, stagnation, State oil company PDVSA, Switzerland, Syria, Syrian nuclear reactor, tax policy, Tehran, terrorist attacks, the Arab Spring revolution, the armed forces, the British government, the Capitol, the Conservative party, the defence minister, the Electoral Commission, The European Council, the European Parliament, The European Union, the Gaza Strip, the House of Commons, the House of Representatives, the Islamic Republic, The Jewish state, The Labour leader, the Maduro regime, the National Assembly Nigel Farage, the National Crime Agency, The Spectator Index, the UN high commissioner for human rights, the United Kingdom, The White House, Theresa May, Tom Hagen, Tory, Treasury Select Committee, Trump’s border wall, Trump’s shutdown, Turkey, U.K. financial markets, UK government, UK voters, Ukip, Ukip leader, unified Democratic caucus, Ursula von der Leyen, US diplomatic staff, US diplomats, US sanctions, US withdrawal from Syria, Venezuelan, Venezuelan generals, Venezuelan military high command, Vice President of the European Commission, Washington, Westminster, William and Harry, William and Kate, World Economic Forum, World Economic Forum in Davos on April 11, 2019 by Clairvoyant Dimitrinka Staikova. WHO WILL WIN U.S. PRESIDENTIAL ELECTION 2020 ? Republicans vs Democrats – Clairvoyant/Psychic predictions for : Trump’s 2020 Presidential campaign, Bernie Sanders, Beto O’Rourke , Kirsten Gillibrand , Elizabeth Warren ,Kamala Harris , Cory Booker, Julian Castro…. 6. 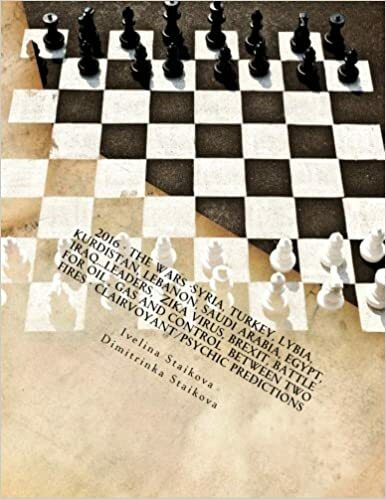 Hottest News Predictions – Martin Zielke (Commerzbank AG) – before a heart attack – Clairvoyant / Psychic reading March 19 , 2019 – by Clairvoyant House ” Dimitrinka Staikova and daughters Stoyanka and Ivelina Staikova ” – from Europe , Bulgaria , Varna. Dennis Muilenburg (Boeing Company Chief Executive) – Clairvoyant/Psychic predictions about the Boeing Company – by Clairvoyant House “Dimitrinka Staikova and daughters Stoyanka and Ivelina Staikova” – from Europe, Bulgaria, Varna. 10. Kirsten Gillibrand ( U.S. 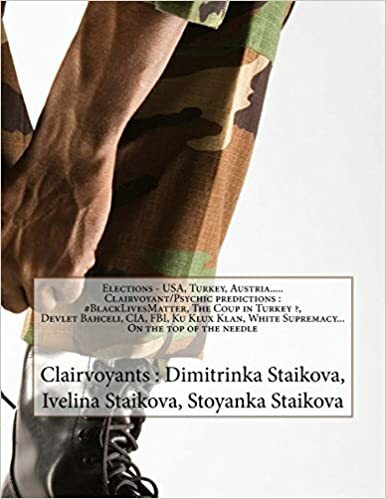 Senator , Presidential candidate U.S. Election 2020 ) – Clairvoyant/ Psychic predictions March 24 , 2019 – by Clairvoyant House ” Dimitrinka Staikova and daughters Stoyanka and Ivelina Staikova” – from Europe , Bulgaria , Varna. 11. 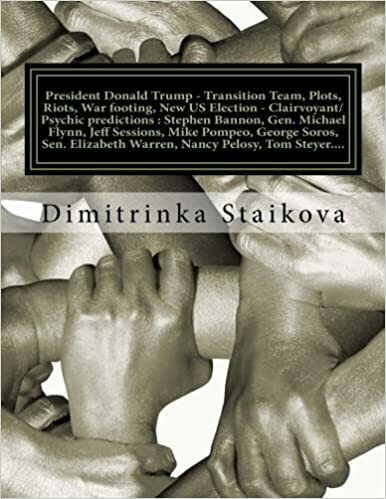 Donald Trump (U.S. President and Candidate for U.S.Election 2020) Clairvoyant/Psychic predictions March 26 , 2019 – by Clairvoyant House “Dimitrinka Staikova and daughters Stoyanka and Ivelina Staikova” – from Europe, Bulgaria, Varna. 12. Elizabeth Warren ( U.S. Senator from Massachusetts and Democratic candidate for president in 2020 Elections ) – Clairvoyant / Psychic predictions March 27 , 2019 ,10 am – by Clairvoyant House “Dimitrinka Staikova and daughters Stoyanka and Ivelina Staikova” -from Europe , Bulgaria , Varna. 13. Kamala Harris ( U.S. 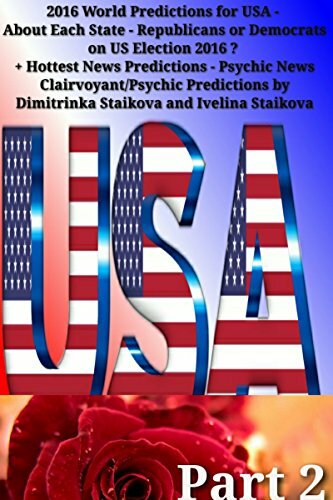 Senator from California and Democratic Presidential candidate 2020 ) – Clairvoyant/Psychic predictions March 27 , 2019 by Clairvoyant House “Dimitrinka Staikova and daughters Stoyanka and Ivelina Staikova ” – from Europe , Bulgaria , Varna. 14. Cory Booker ( U.S.Senator from New Jersey and Presidential candidate for U.S. Election 2020 ) – Clairvoyant / Psychic predictions March 28 , 2019 – by Clairvoyant House “Dimitrinka Staikova and daughters Stoyanka and Ivelina Staikova” – from Europe, Bulgaria, Varna. 15. John Hickenlooper (Governor of Colorado and 2020 Presidential Candidate) – Clairvoyant / Psychic reading March 28 , 2019 – by Clairvoyant House “Dimitrinka Staikova and daughters Stoyanka and Ivelina Staikova” – from Europe, Bulgaria, Varna. 16. Marianne Williamson (Spiritual teacher, 2020 Presidential Candidate) – Clairvoyant / Psychic predictions March 28 , 2019 – by Clairvoyant House “Dimitrinka Staikova and daughters Stoyanka and Ivelina Staikova” – from Europe, Bulgaria, Varna. 17. Pete Buttigieg (Mayor of South Bend, Indiana and 2020 Presidential Candidate) – Clairvoyant / Psychic predictions March 29, 2019 – by Clairvoyant House “Dimitrinka Staikova and daughters Stoyanka and Ivelina Staikova” – from Europe, Bulgaria, Varna. 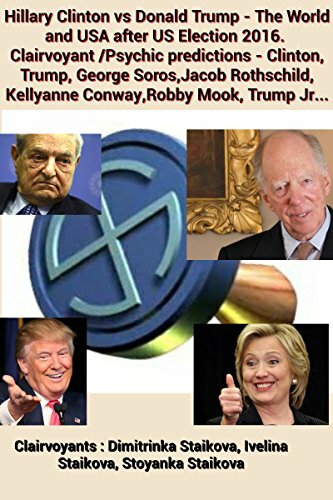 This entry was posted in #Finance, Ankara, banks, Bilderberg group, billionaires, Black Lives Matter, Brexit, BRUSSELS ATTACKS, business, Clairvoyant, Confirmation, Democrats and republicans, Donald Trump, Election 2020, genetics, George Soros, Government Shutdown, GRU, Health diagnosis, Hillary Clinton, kremlin, Midterm Elections 2018, migrant crisis, missing people, Money, Peace, Politicians, President Barack Obama, Psychic, Russia, Science, Syria, Syria Strikes, terrorism, Turkey, Ukraine, Uncategorized, Us Elections 2016, War, Washington, World Predictions 2019, World predictions that came true and tagged "Keep America Great", #entrepreneur, #Finance, #florida, #Trump, #trump2020, 2016 Election, 2018 midterm elections, 2020 Democratic National Convention, 2020 Democratic Party presidential primaries, 2020 presidential campaign, 2020 presidential election, 2020 race, 2020 U.S. presidential election, ABC News, activist, administrative operations director, advertising campaign, Amy Klobuchar, Andrew Yang, Author, Bank of England, banks, Bernie Sanders, Bernie Sanders 2020 presidential campaign, Beto O'Rourke, Bilderberg group, Bill de Blasio, Bill Stepien, billionaires, Boeing Company, Boeing Company Chief Executive, Brad Parscale, Bradley Crate, Brexit, business, California, Campaign, campaign committee deputy executive director, campaign committee manager, campaign committees, campaign manager, campaign rally, campaign treasurer, campaigning, Candidates, caucuses, CBS News, Chris Carr, Christian Sewing, clairvoyant, cnn, Cole Blocker, college tuition, Colorado, Commerzbank, communications director, Confirmation, Conservative Political Action Conference, Cory Booker, D.C., Democracy reform, Democratic, Democratic National Committee, DEMOCRATIC NATIONAL CONVENTION, Democratic nominee, Democratic party, Democratic Party primary, Democrats and republicans, Dennis Muilenburg, Deutsche Bank, Deutsche executive, Deutsche trader, Deutsche’s Frankfurt headquarters, Donald Trump, Donald Trump 2020 presidential campaign, donations, donor, Election 2020, election day 2020, electoral states, Elizabeth Warren, exploratory committees, FEC filing, Federal Election Commission, finance director Megan Powers, founder of Venture for America, Fox News, fundraiser, Fundraising, fundraising threshold, George Soros, German companies, Giles-Parscale, Government Shutdown, Governor of Washington, Gregg Lippmann, GRU, H.R. McMaster, Health diagnosis, healthcare, Hillary Clinton, immigration, Independent candidate, Indiana, investors, Jay Inslee, Joe Biden, John Delaney, John Hickenlooper, John Pence, Julián Castro, Justin Clark, Kamala Harris, Kamala Harris 2020 presidential campaign, Kayleigh McEnany, Kirsten Gillibrand, Kirsten Gillibrand 2020 presidential campaign, kremlin, Lara Trump, lecturer, Libertarian candidate for President, Marc Lotter, Marianne Williamson, Maryland, Massachusetts, Mayor of Miramar, Mayor of South Bend, Michael Bennet, Michael Glassner, Midterm Elections 2018, migrant crisis, Mike Gravel, Mike Pence, Minnesota, missing people, money, money laundering, Monmouth University, national press secretary, National Public Radio, nationalist, NBC News, New Jersey, Peace, Pete Buttigieg, political director, Politicians, President Barack Obama, president of the United States, President Trump, President's campaign, presidential campaign, presidential candidates, presidential nominating ballot, presidential primaries, primaries, psychic, Quinnipiac University, reelection campaign, Republican National Committee, Republican Party, Republican Party presidential primaries 2020, Republican primaries, Republicans, Reuters, Rona McDaniel, Russia, Science, Senate Democrats, senior consultant, senior political adviser, Spiritual teacher, sponsors, Stacey Abrams, Steve Bullock, strategic communications director, Super PACs, superdelegates, Syria, Syria Strikes, terrorism, Terry McAuliffe, The Associated Press, The Des Moines Register, the Las Vegas Review-Journal, The New York Times, the University of New Hampshire, The Wall Street Journal, The Washington Post, The White House, Tim Murtaugh, Tom Perez, Trump Tower, Trump's presidency, Trump’s campaign, Tulsi Gabbard, Turkey, U.S. economy, U.S. Representative, U.S. Representative from TX-16, U.S. Senate, U.S. Senator, U.S. Senator from Alaska, U.S. Senator from California, U.S. Senator from Massachusetts, U.S. Senator from Minnesota, U.S. Senator from New Jersey, U.S. Senator from New York, U.S. 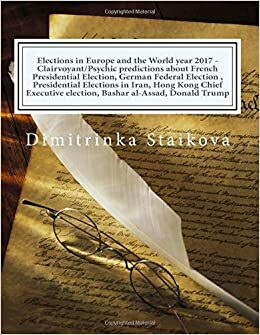 Senator from Vermont, Uncategorized, Us Elections 2016, USA Today, Vermont, Vice President Pence, Vice-president of the United States, war, Washington, Wayne Messam, Winthrop University, World Predictions 2019, world predictions that came true on April 8, 2019 by Clairvoyant Dimitrinka Staikova. Jens Stoltenberg (Secretary General of NATO) – The present and the future of Ukraine, Intervention, Blockade, A withdrawal – hunger and war, A nuclear explosion, An intervention again, Contract with Russia – Who wins in Ukraine? – Clairvoyant/Psychic predictions November 27, 2019 by Clairvoyant House “Dimitrinka Staikova and daughters Stoyanka and Ivelina Staikova ” – from Europe, Bulgaria, Varna. Photo : November 26, 2018. Time – after the photo. The U.S. plans to offer a package to NATO defense ministers this week that “beefs up surveillance — both air surveillance as well as more of the NATO country ships going into the Black Sea” in support of Ukraine. “It is a package… to assure that there’s a safe passage for Ukrainian vessels through the Kerch Strait [to] the Sea of Azov,” said Kay Bailey Hutchison, the U.S. ambassador to NATO. Ukraine and NATO will carry out joint actions to strengthen the military presence in the Black Sea region, as well as monitor freedom of navigation through the Kerch Strait, regardless of the opinion of the Russian Federation, Ukrainian Foreign Minister Pavlo Klimkin has said. “NATO will not ask Russia what we can do together and what we should do in the Black Sea. We will just do it. No one will ask and say what is possible and what is not … No one will ask for in order to observe from the sea, from the air and space, to strengthen the military presence or exercises,” Klimkin said in Kyiv on April 5. 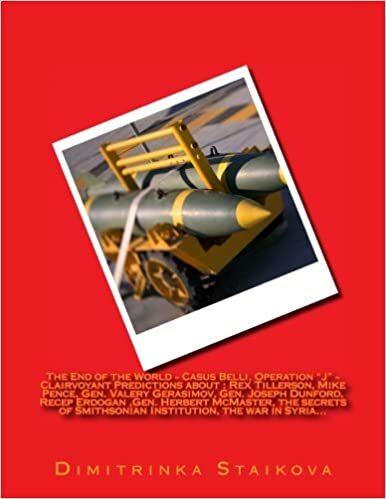 This entry was posted in #Finance, Ankara, banks, Bilderberg group, billionaires, BRUSSELS ATTACKS, business, Clairvoyant, Confirmation, CRISPR, Democrats and republicans, Donald Trump, Election 2020, Erdogan, genetics, George Soros, GRU, Health diagnosis, kidnapping, kremlin, migrant crisis, missing people, Money, Peace, Politicians, Psychic, Russia, Syria, Syria Strikes, terrorism, Turkey, Ukraine, Uncategorized, Us Elections 2016, War, Washington, World Predictions 2019, World predictions that came true and tagged "the Normandy format", Aggression, Azov Sea, Black Sea, Black Sea port of Odesa, Brussels, Buenos Aires, conflict, Crimea, Crimean peninsula, Denis Pushilin, Donald Trump, Donetsk, Donetsk People's Republic, eastern ukraine, elections in Ukraine, FSB security service, G20, G20 leaders, G20 summit in Argentina, Georgia, German chancellor Angela Merkel, incident in the Black Sea, Investigative Committee, Kay Bailey Hutchison, Kerch Strait, Kiev, kremlin, Lefortovo jail, Luhansk, Maritime Group-2, martial law, military aggression, military alliance, military drill, Minsk Agreement, moscow, NATO, Nato allies, NATO defence ministerial meeting, NATO defense ministers, NATO exercises, NATO headquarters, NATO meeting, NATO ministers, NATO secretary-general, naval exercise, North Atlantic Council, Oleksandr Turchynov, petro poroshenko, port of Mariupol, port of Odesa, President Donald Trump and Russian President Vladimir Putin, presidential election, Republic of Crimea, Russia, Russian aggression, Russian aggression against the Ukraine, Russian border patrol, Russian president, Russian President Vladimir Putin, Russian-backed rebels, Russian-Ukrainian border, Sea of Azov, Sea Shield 19, Secretary of the National Security and Defense Council of Ukraine, senior White House official, Sergey Aksyonov, surveillance, Tatyana Potyaeva, the Black Sea region, the European Court of Human Rights, the Geneva Convention, the Kerch Strait, the Russian Federation, the Sea of Azov, the U.S. ambassador to NATO, the Verkhovna Rada, the Western military alliance, top U.S. official, trade war, Trump and Xi Jinping of China, Ukraine, Ukraine leader, Ukrainian, Ukrainian Foreign Minister Pavlo Klimkin, Ukrainian Navy ships, Ukrainian ports, Ukrainian President, Ukrainian President Petro Poroshenko, Ukrainian sailors, Ukrainian ships, Ukrainians, Ukranian navy vessels, US delegation, US missile destroyer USS Donald Cook, Vladimir Putin, White House, World Trade Organisation on April 5, 2019 by Clairvoyant Dimitrinka Staikova. Ren Zhengfei (Founder and President of Huawei technologies ) – Health , To who will pay for mediator , Money for the Israel elections , When will be released his daughter ; the profitable space future of Huawei – Clairvoyant/Psychic predictions January 16 , 2019 – by Clairvoyant House “Dimitrinka Staikova and daughters Stoyanka and Ivelina Staikova” – from Europe , Bulgaria , Varna. …….March 2019 begins a reorganization of hardware and software of Huawei. There will be a new software and hardware, new design and competitive pricing – (Media Confirmation) , a new invasion of Huawei from a new generation – there will be space innovations, including health diagnostics. The end of February and March 2019 – mr. Ren Zhenfei will have problems with the spine. Until April 2019 – I see a……. Huawei has developed its own proprietary operating systems, and it’s ready to implement them in case its US legal battle leads to a ban on the export of US-made products and services like Android and Windows. Even though it says it’s ready with an OS replacement for its computers, Huawei would need to find new hardware partners since it relies on Intel processors in its Windows laptops. With Intel and Qualcomm off the table and MediaTek processors generally reserved for cheaper, low-performance devices like Chromebooks, Huawei may need to start developing its own laptop-grade processors. This entry was posted in #Finance, Ankara, Bank of England, banks, Bilderberg group, billionaires, Brexit, BRUSSELS ATTACKS, business, Clairvoyant, Confirmation, Democrats and republicans, Donald Trump, Election 2020, Health diagnosis, migrant crisis, missing people, Money, Peace, Politicians, Psychic, Russia, Science, Syria, Syria Strikes, terrorism, Uncategorized, Us Elections 2016, War, Washington, World Predictions 2019, World predictions that came true and tagged "coup d'etat", #education, #EndTheShutdown, #FridayThoughts, #GovernmentShutdown, #Hezbollah, #Maduro, #NancyPelosi, #PresidentPelosi, #realdonaldtrump, #rogerstoneindictment, #ShutdownImpact, #ShutdownStories, #Trump, #TrumpCanceled, #TrumpCaves, #TrumpCrimeFamily, #TrumpShutdown, 116th Congress, 5G networks, @SpeakerPelosi, @USChamber, Abdel Fattah Al-Sisi, Al-Attaba market, American troops, Android, Android replacement, Anne-Elisabeth Falkevik Hagen, anti-Islam focus, Antonio Tajani, banking sector, Bashar al-Assad, bashar assad, Beijing, billionaire, border security system, border wall with Mexico, Brexit, Brexit party, Brexit talks, British Politician, business environment, Cairo, Caracas, CFO Meng Wanzhou, Chavistas, Cheops Pyramid, Chief of General Staff, China, clairvoyant, commander of Iran’s Revolutionary Guard Corps’ Quds Force, congressional Democrats, Conservatives, corruption, coup, Crime, criminal charges, Damascus Airport, defense system, democracy, Democrats, Die Welt, economic crisis, economic growth, Egypt, Egypt's education system, Egypt's minister of Investment and International Cooperation, Egyptian authorities, Egyptian distributors, Egyptian President, Egyptian President Abdel Fattah al-Sisi, Egyptians, elections in England, espionage, EU departure, European Union, FBI Director Christopher Wray, federal workers, fiscal consolidation, founder, free trade agreements, General Aviv Kochavi, general election, General Vladimir Padrino, Google, government contractors, Government Shutdown, Hamas, Hassan Rouhani, head of the European parliament, head of the parliament, healthcare, Hebron, House Democratic majority, House Minority Leader Kevin McCarthy, House Speaker Nancy Pelosi, Hsbc Holdings PLC, Huawei, Huawei and ZTE, Huawei equipment, Huawei executive Richard Yu, Huawei founder Ren Zhengfei, Huawei Technologies Co Ltd, Huawei’s CFO, Hugo Chávez, human capital, IDF, IDF chief of staff, IDF’s ground forces, imperialist United States government, industrial hubs, Intel, investors, iran, Iranian forces in Syria, Iranian infrastructure in Syria, Iranian presence in Syria, Iranian troops, Iranians, IRGC commander, Iron Dome missile defense system, Islamic Jihad, israel, Israel Defense Forces, Israeli airstrikes, Israeli elections, Israeli strikes, Israeli territory, Israelis, Jacob Rees-Mogg, Jeremy Corbyn, Juan Guaido, kidnappers, Kirin processors, labour, Leader of the Labour party, Leader of the opposition ), Lebanon, local elections across England, long-range rocket, longrange heavy missiles, Lt. Gen. Aviv Kochavi, Madbouli, Maduro loyalists, Maj. Gen. (res.) Yitzhak Brik, Massachusetts Senator Elizabeth Warren, Member of the European Parliament, Meng Wanzhou, Microsoft, Middle East, Middle East 2019., Middle Eastern countries, military intelligence, military intervention, Minority Leader Chuck Schumer, missile barrage, monetary policies, Mostafa Madbouly, mount Hermon, Mr Guaido, Mr Maduro, mutiny, Nancy Pelosi, Nicolas Maduro, Nigel Farage, Northern Ireland, Norway Kidnappers, Norwegian, operating system, Operation House of Cards, opposition leader, palestinian, party leaders, Pelosi, Pelosi’s strategy, Pennsylvania Avenue, plan B, Policy, political crisis, politician, pollution, President Donald Trump, President of Huawei technologies, President of Iran, President of Syria, president of Turkey, president of Venezuela, President of Venezuela Nicolas Maduro, Prime Minister Benjamin Netanyahu, Prime Minister Mostafa Madbouli, Prime Minister of Egypt, Prime Minister of Great Britain, Prime Minister of Lebanon, pro-Brexit party, psychic predictions, psychic reading, putsch, Qassem Soleimani, Qualcomm, Recep Tayyip Erdogan, regional insecurity, regional market, Ren Zhengfei, Republicans, Russia, Saad Hariri, Sabrina Meng, Sahar Nasr, Senate Majority Leader Mitch McConnell, shutdown, shutdown crisis, Sino-U.S. relations, smartphones, Speaker, Speaker Nancy Pelosi, Speaker of the United States House of Representatives, stagnation, State oil company PDVSA, Switzerland, Syria, Syrian nuclear reactor, Tehran, terrorist attacks, the Arab Spring revolution, the armed forces, the Capitol, the Conservative party, the daughter of Huawei’s founder, the defence minister, the Electoral Commission, the Gaza Strip, the House of Representatives, the Islamic Republic, The Jewish state, The Justice Department, The Labour leader, the Maduro regime, the National Assembly Nigel Farage, the National Crime Agency, The Spectator Index, The White House, Theresa May, Tom Hagen, Tory, trade deal with China, trade talks, Trump’s border wall, Trump’s shutdown, Turkey, U.S. export laws, U.S. extradition request, U.S. sanctions on Iran, Ukip, Ukip leader, unified Democratic caucus, US companies, US diplomatic staff, US diplomats, US legal battle, US sanctions, US Shutdown, US withdrawal from Syria, US-made products, Venezuela Coup, Venezuelan, Venezuelan generals, Venezuelan military high command, Wars, Washington, wife of, Windows, World Economic Forum, World Economic Forum in Davos on March 19, 2019 by Clairvoyant Dimitrinka Staikova. Photo : January 15, 2019 . Time – after the photo. ……March 2019 – I see a lot of water and rain in Israel , I feel the legs of General Aviv Kochavi – permanently wet. Then comes a short winter ( freezing) . I see explosions and fires and a cleaning of territories. 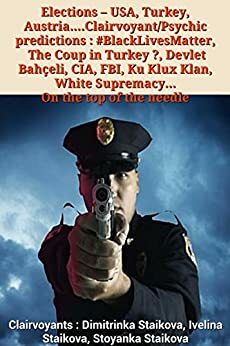 March 2019 is the month of murders ( shots ). How much did the Sea of Galilee rise after 72 hours of rain that fell in Israel over the weekend? Nearly three inches, according to a report released by Israel’s Water Authority on Sunday. Israel experienced a five-year draught, and meteorologists and scientists believed the Jewish state would experience a similar sixth year of insufficient water.Officials are now announcing that the water level in the Kinneret will rise above the lower red line for the first time in two years, easing restrictions on pumping from Israel’s largest natural freshwater source. This entry was posted in #Finance, Ankara, Bank of England, banks, Bilderberg group, billionaires, Brexit, BRUSSELS ATTACKS, business, Clairvoyant, Confirmation, Cyprus, Democrats and republicans, Donald Trump, Election 2020, George Soros, Health diagnosis, kremlin, Money, Peace, Politicians, Psychic, Science, Syria, Syria Strikes, terrorism, Turkey, Ukraine, Uncategorized, Us Elections 2016, Vatican, War, Washington, World Predictions 2019, World predictions that came true and tagged "coup d'etat", #education, #EndTheShutdown, #FridayThoughts, #GovernmentShutdown, #Hezbollah, #Maduro, #NancyPelosi, #PresidentPelosi, #realdonaldtrump, #rogerstoneindictment, #ShutdownImpact, #ShutdownStories, #Trump, #TrumpCanceled, #TrumpCaves, #TrumpCrimeFamily, #TrumpShutdown, 116th Congress, @SpeakerPelosi, @USChamber, Abdel Fattah Al-Sisi, Al-Attaba market, American troops, Anne-Elisabeth Falkevik Hagen, anti-Islam focus, Antonio Tajani, banking sector, Bashar al-Assad, bashar assad, border security system, border wall with Mexico, Brexit, Brexit party, Brexit talks, business environment, Cairo, Caracas, Chavistas, Cheops Pyramid, China, commander of Iran’s Revolutionary Guard Corps’ Quds Force, congressional Democrats, Conservatives, corruption, coup, Crime, Damascus Airport, defense system, democracy, Democrats, drought, economic crisis, economic growth, Egypt, Egypt's education system, Egypt's minister of Investment and International Cooperation, Egyptian authorities, Egyptian distributors, Egyptian President, Egyptian President Abdel Fattah al-Sisi, Egyptians, elections in England, EU departure, European Union, federal workers, fiscal consolidation, free trade agreements, General Aviv Kochavi, general election, General Vladimir Padrino, Government Shutdown, Hamas, Hassan Rouhani, head of the European parliament, head of the parliament, healthcare, Hebron, House Democratic majority, House Minority Leader Kevin McCarthy, House Speaker Nancy Pelosi, Hugo Chávez, human capital, IDF, IDF chief of staff, IDF’s ground forces, imperialist United States government, industrial hubs, investors, iran, Iranian forces in Syria, Iranian infrastructure in Syria, Iranian presence in Syria, Iranian troops, Iranians, IRGC commander, Iron Dome missile defense system, Islamic Jihad, israel, Israel’s Water Authority, Israeli airstrikes, Israeli authorities, Israeli elections, Israeli freshwater source, Israeli strikes, Israeli territory, Israelis, Jacob Rees-Mogg, Jeremy Corbyn, Juan Guaido, Kinneret, Kinneret Authority, labour, Lebanon, local elections across England, long-range rocket, longrange heavy missiles, Lt. Gen. Aviv Kochavi, Madbouli, Maduro loyalists, Maj. Gen. (res.) Yitzhak Brik, Massachusetts Senator Elizabeth Warren, Middle East, Middle Eastern countries, military intelligence, military intervention, Minority Leader Chuck Schumer, missile barrage, monetary policies, mount Hermon, Mr Guaido, Mr Maduro, mutiny, Nancy Pelosi, Nicolas Maduro, Northern Ireland, northern Israel, Operation House of Cards, opposition leader, palestinian, party leaders, Pelosi, Pelosi’s strategy, Pennsylvania Avenue, Policy, political crisis, politician, pollution, President Donald Trump, President of Huawei technologies, President of Iran, President of Syria, president of Turkey, president of Venezuela, President of Venezuela Nicolas Maduro, Prime Minister Benjamin Netanyahu, Prime Minister Mostafa Madbouli, Prime Minister of Lebanon, pro-Brexit party, putsch, Qassem Soleimani, rainfall, rainy winter, Recep Tayyip Erdogan, regional insecurity, regional market, Ren Zhengfei, Republicans, Russia, Saad Hariri, Sahar Nasr, Sea of Galilee, Senate Majority Leader Mitch McConnell, shutdown, shutdown crisis, Speaker, Speaker Nancy Pelosi, stagnation, State oil company PDVSA, Switzerland, Syria, Syrian nuclear reactor, Tehran, terrorist attacks, the Arab Spring revolution, the armed forces, the Capitol, the Conservative party, the defence minister, the Electoral Commission, the Gaza Strip, the House of Representatives, the Islamic Republic, The Jewish state, The Labour leader, the Maduro regime, the National Assembly Nigel Farage, the National Crime Agency, The Spectator Index, The White House, Tom Hagen, Tory, Trump’s border wall, Trump’s shutdown, Turkey, Ukip, Ukip leader, unified Democratic caucus, US diplomatic staff, US diplomats, US sanctions, US withdrawal from Syria, Venezuelan, Venezuelan generals, Venezuelan military high command, Washington, water level, World Economic Forum, World Economic Forum in Davos on March 19, 2019 by Clairvoyant Dimitrinka Staikova. ….The beginning of March 2019 starts with demonstrative actions from the European side – a request for extending of time – from March to September 2019 and a subsequent grace period of one year. Great Britain is a hostage of all or nothing. There will be no new referendum with Theresa May. But everyone is waiting for the (European) Elections. The will is a German to be elected for a President of the European Commission. Then follows the coming to power of Jeremy Corbyn and a new referendum for the remaining of Great Britain in the European Union. Will it be allowed to Great Britain to vote for the European Union ? – with an official document – Yes. EU politicians breathe deep, shuddering sighs at the thought of prolonging the cross-Channel agony of the Brexit process. EU leaders’ silence after Thursday’s vote by the House of Commons to delay Brexit may also have been because they realise – whatever their individual opinions on an extension – that they are obliged by law to come to a unanimous decision. And they won’t reach that decision until they are all stuck in a room together, which they will be at an EU summit in a week’s time. LONDON — As the Brexit saga drags on, an uncomfortable scenario has reared its head: If Brexit is significantly delayed, the U.K. will have to participate in the European Parliament election in May. This entry was posted in #Finance, Bank of England, banks, Bilderberg group, billionaires, Brexit, BRUSSELS ATTACKS, business, Clairvoyant, Confirmation, Democrats and republicans, Donald Trump, Election 2020, Health diagnosis, Money, Peace, Politicians, Psychic, royal family, Syria, Syria Strikes, terrorism, Uncategorized, War, Washington, World Predictions 2019, World predictions that came true and tagged "coup d'etat", #education, #EndTheShutdown, #Europa, #Européennes2019, #FridayThoughts, #GovernmentShutdown, #Hezbollah, #Ireland, #Maduro, #NancyPelosi, #PresidentPelosi, #realdonaldtrump, #rogerstoneindictment, #ShutdownImpact, #ShutdownStories, #Trump, #TrumpCanceled, #TrumpCaves, #TrumpCrimeFamily, #TrumpShutdown, 116th Congress, @matteosalvinimi, @SpeakerPelosi, @USChamber, Abdel Fattah Al-Sisi, Al-Attaba market, Alexander Stubb, Alliance of Conservatives and Reformists in Europe (ACRE), Alliance of Liberals and Democrats for Europe (ALDE), ALTERNATIVE Europe, alternative to Europe, American troops, Anne-Elisabeth Falkevik Hagen, anti-Islam focus, Antonio Tajani, Arlene Foster, Bank of England Governor Mark Carney, banking sector, Bashar al-Assad, bashar assad, border security system, border wall with Mexico, Boris Johnson, Brexit, Brexit chaos, Brexit deal, Brexit negotiations, Brexit party, Brexit secretary, Brexit talks, Brexit vote, Brexit withdrawal agreement, Brexit withdrawal deal, Brexiteers, Britain, Britain’s EU exit, British citizens, British lawmakers, British Prime Minister Theresa May, Brussels, Brussels bloc, Buckingham Palace, business environment, Cairo, Candidates for Commission President 2019, Caracas, centre-right politician, Chancellor Philip Hammond, Chavistas, Cheops Pyramid, China, Christian Kern, commander of Iran’s Revolutionary Guard Corps’ Quds Force, Commission President 2019, congressional Democrats, Conservative government, Conservative Party, Conservatives, corruption, coup, Crime, CSU party, Damascus Airport, deal Brexit, defense system, democracy, Democratic Unionist Party, Democrats, Denmark, divorce agreement, Dominic Raab, Duke and Duchess of Cambridge, Duke of Cambridge, DUP leader, economic crisis, economic growth, Egypt, Egypt's education system, Egypt's minister of Investment and International Cooperation, Egyptian authorities, Egyptian distributors, Egyptian President, Egyptian President Abdel Fattah al-Sisi, Egyptians, elections in England, Emmanuel Macron, England, EU customs arrangements, EU departure, EU elections, EU Foreign Policy, EU leaders, EU negotiator Michel Barnier, EU referendum, EU structures, EU-UK trade deal, EU’s chief negotiator, Euractiv, Europe of Nations and Freedom (ENF) party, Europe's politicians, European Commission presidency, European Commission President, European Commissioner for Energy Union, European Council President Donald Tusk, European Elections 2019, European Greens, European Left, European Parliament election, European Parliament elections, European People’s Party (EPP), European Union, Eurosceptic, far-right Northern League, federal workers, fiscal consolidation, Frans Timmermans, free trade agreements, French politician, General Aviv Kochavi, general election, General Vladimir Padrino, Government Shutdown, Government’s budget plans, Great Britain, Hamas, hardline politician, Harry and Meghan, Hassan Rouhani, head of the European parliament, head of the parliament, healthcare, Hebron, Helle Thorning Schmidt, House Democratic majority, House Minority Leader Kevin McCarthy, House Speaker Nancy Pelosi, Hugo Chávez, human capital, IDF, IDF chief of staff, IDF’s ground forces, imperialist United States government, industrial hubs, investors, iran, Iranian forces in Syria, Iranian infrastructure in Syria, Iranian presence in Syria, Iranian troops, Iranians, IRGC commander, Irish border plan, Irish economy, Irish presidential election, Iron Dome missile defense system, Islamic Jihad, israel, Israeli airstrikes, Israeli elections, Israeli strikes, Israeli territory, Israelis, Italian Interior Minister Matteo Salvini, Italy's far-right leader, Italy’s General Labour Union, Jacob Rees-Mogg, Jean -Claude Juncker, Jeremy Corbyn, Juan Guaido, Juncker’s successor, Juncker’s team, Kensington Palace, Kristalina Georgieva, labour, Labour leader Jeremy Corbyn, Leader of the EPP Group in the EP, Lebanon, Leo Varadkar, Liberal Democrats., Libya, local elections across England, long-range rocket, longrange heavy missiles, Lord Adonis, Lt. Gen. Aviv Kochavi, Madbouli, Maduro loyalists, Maj. Gen. (res.) Yitzhak Brik, Manfred Weber, Margrethe Vestager, Marine Le Pen, Mark Rutte, Maroš Šefčovič, Mary Lou McDonald, Massachusetts Senator Elizabeth Warren, Matteo Salvini, May’s Brexit deal, May’s government, Michel Barnier, Michelle Bachelet, Middle East, Middle Eastern countries, military intelligence, military intervention, Minority Leader Chuck Schumer, missile barrage, monetary policies, mount Hermon, Mr Guaido, Mr Maduro, mutiny, Nancy Pelosi, nationalist groups, Netherlands, Nicola Sturgeon, Nicolas Maduro, no-confidence vote, no-deal Brexit, Northern Ireland, Northern Irish unionist, Operation House of Cards, Opposition Labour Party leader Jeremy Corbyn, opposition leader, palestinian, party leaders, Party of European Socialists (PES), Pedro Sanchez, Pelosi, Pelosi’s strategy, Pennsylvania Avenue, People's Vote, Peter Altmaier, Pierre Moscovici, Policy, political crisis, politician, pollution, President Donald Trump, President Michael D Higgins, President of Huawei technologies, President of Iran, President of Syria, president of Turkey, president of Venezuela, President of Venezuela Nicolas Maduro, Prime Minister Benjamin Netanyahu, Prime Minister Mostafa Madbouli, Prime Minister of Lebanon, Prime Minister Theresa May, Prince Charles, prince harry, prince William, pro-Brexit party, putsch, PvdA, Qassem Soleimani, Recep Tayyip Erdogan, regional insecurity, regional market, Ren Zhengfei, Republicans, Russia, Saad Hariri, Sadiq Khan, Sahar Nasr, Scotland, Scotland's First Minister, Scottish government, Scottish independence, Scottish Labour, Scottish political parties, second Brexit referendum, Senate Majority Leader Mitch McConnell, shutdown, shutdown crisis, Sinn Féin candidate, Sinn Féin supporters, Sinn Fein, SNP (Scottish National Party), SNP leader Nicola Sturgeon, Socialdemokratiet, Speaker, Speaker Nancy Pelosi, Spitzenkandidat process, Spitzenkandidaten, stagnation, State oil company PDVSA, Switzerland, Syria, Syrian nuclear reactor, tax policy, Tehran, terrorist attacks, the Arab Spring revolution, the armed forces, the British government, the Capitol, the Conservative party, the defence minister, the Electoral Commission, The European Union, the Gaza Strip, the House of Commons, the House of Representatives, the Islamic Republic, The Jewish state, The Labour leader, the Maduro regime, the National Assembly Nigel Farage, the National Crime Agency, The Spectator Index, the UN high commissioner for human rights, the United Kingdom, The White House, Theresa May, Tom Hagen, Tory, Treasury Select Committee, Trump’s border wall, Trump’s shutdown, Turkey, U.K. financial markets, UK government, UK voters, Ukip, Ukip leader, unified Democratic caucus, Ursula von der Leyen, US diplomatic staff, US diplomats, US sanctions, US withdrawal from Syria, Venezuelan, Venezuelan generals, Venezuelan military high command, Vice President of the European Commission, Washington, Westminster, William and Harry, William and Kate, World Economic Forum, World Economic Forum in Davos on March 15, 2019 by Clairvoyant Dimitrinka Staikova.